Since upgrading from their previous supplier to Crystal Ball, Wixey Transport are offering improved levels of customer service to their clients. Established in 1972, Wixey Transport Ltd provides logistics solutions, including distribution and warehousing. Situated in Warwickshire, Wixey Transport covers the UK and Ireland with a fleet of vehicles ranging from 7.5 to 44 tonnes. Wixey Transport operates its own fleet of HGVs which are used for distribution across the UK and Ireland. 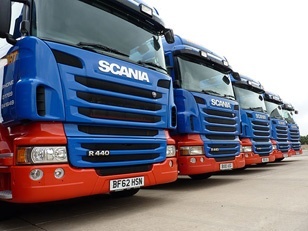 The directors at Wixey required a solution which would allow them to keep track of their drivers’ daily locations and progress without disturbing them with regular calls. 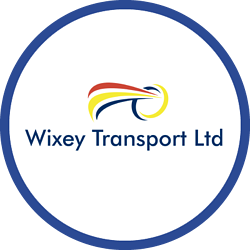 Previously, Wixey Transport had a mobile phone solution in place. When contacted by their incumbent supplier to pay for an upgrade to the solution, the directors decided it was the right time to review what other mobile workforce management options were available to them. sub-contracted drivers who were not provided with company mobile phones, Wixey Transport migrated to Crystal Ball’s vehicle tracking solution, FleetTracker, twelve months later. Crystal Ball’s web-based FleetTracker solution can be accessed 24/7 and provides live vehicle locations on a detailed mapping system. This comprehensive solution allows Wixey Transport to gain full visibility of its drivers in real time. It also provides live traffic report feeds that clearly display any congested routes and heavy traffic. Since the introduction of Crystal Ball, Wixey Transport has seen a vast improvement in its workforce management procedures. The company is now able to view all its vehicles on the live mapping system and understand at a glance where each driver is located across the UK and Ireland. Crystal Ball has eliminated the previous cumbersome procedures of phoning drivers throughout the day.